This paper draws from and contributes to two bodies of research: how particular elements of game design support learning; and how particular characteristics of feedback impact student engagement. 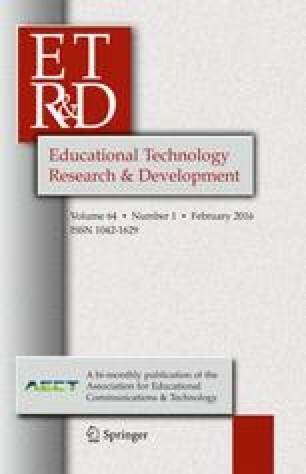 This paper reports findings from two rounds of a design-based research project that focuses on better understanding how feedback is integrated into, and impacts, students’ mathematical learning and engagement in the context of an immersive educational videogame. We examine whether and how an intentional change in the way that feedback was offered impacted the ways that students engaged with problem solving. Looking across two implementations, we found that consequential feedback appeared to support students’ mathematical engagement, and, specifically, that the timing of that feedback in relation to the entire problem solving process appeared to be important. Finally, we documented that changes in the design of the game were related to changes in the overall classroom activities. Overall, it seems likely that together, the game design change and the associated classroom practices change, resulted in the differences in student mathematical engagement that we observed. This work is supported by a postdoctoral fellowship from the Spencer Foundation and the National Academy of Education, and Grant # DRL-0738247, funded by the National Science Foundation. Lenhart, A., Kahne, J., Middaugh, E., Macgill, A., Evans, C., & Vitak, J. (2008). Teens, video games, and civics. Washington, DC: Pew Internet & American Life Project. Retrieved from http://www.pewinternet.org/.